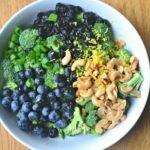 This isn’t the first, and it is not the last broccoli salad recipe I plan on sharing with you this season. 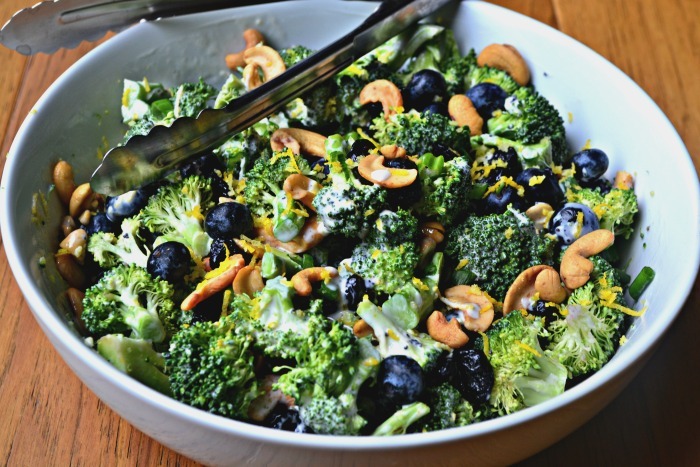 I have been on a broccoli salad kick lately, and my ” let’s turn whatever we have around the house into a broccoli salad” mantra has been happening this year. 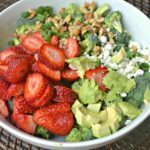 So far this season, I have shared with you my Strawberry Poppyseed Broccoli Salad, My Winter Broccoli Salad, a Roasted Broccoli Salad with goat cheese and now I am in the mood for all things spring so I have created this. 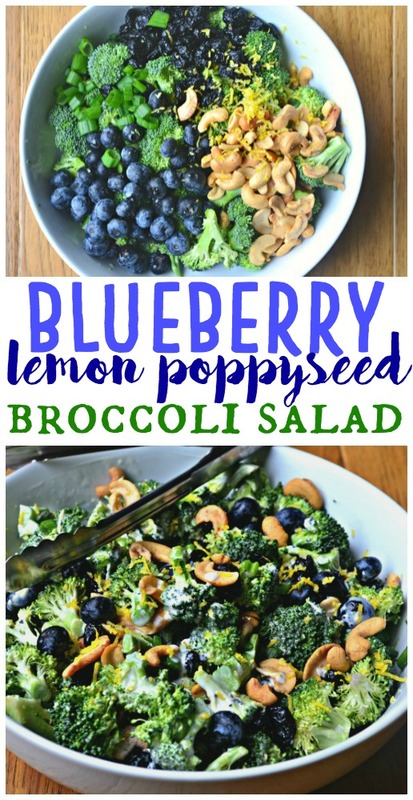 Blueberry Lemon Poppyseed Broccoli Salad for you today! 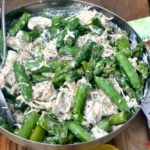 A few summers ago, I started putting adding lemon zest to summery salads, and the zest brightens any salad and gives it the perfect amount of depth. I think that blueberries and lemons make the ideal pair. Like in this Lemon-Blueberry Smoothie. 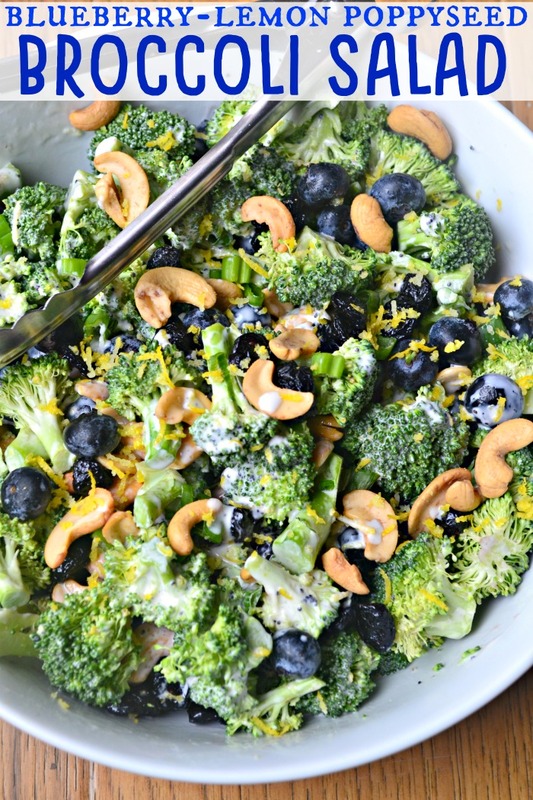 This broccoli salad has fresh blueberries AND dried blueberries. I also made a homemade lemon poppyseed dressing. I made this homemade lemon poppyseed dressing with a little bit of mayo and sour cream. However, if you’re looking for something healthier, you can sub either of those or both with plain Greek Yogurt. 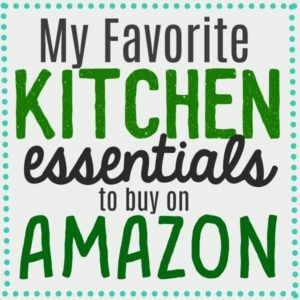 Also, if you don’t feel like making homemade dressing, or you don’t have the time. I like buying this poppyseed dressing and then adding a tablespoon of lemon juice to it. 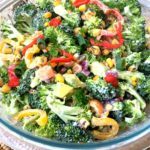 I got into making broccoli salads last year after the couple of Romaine Lettuce crisis we had. I love crunchy chopped salads and turned to broccoli when this was going on. And it turned out that my kids love broccoli salad too! 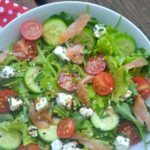 I am wonderful with putting a sugary, mayonnaise-based dressing on a salad if it means my kids will eat a plate of broccoli! 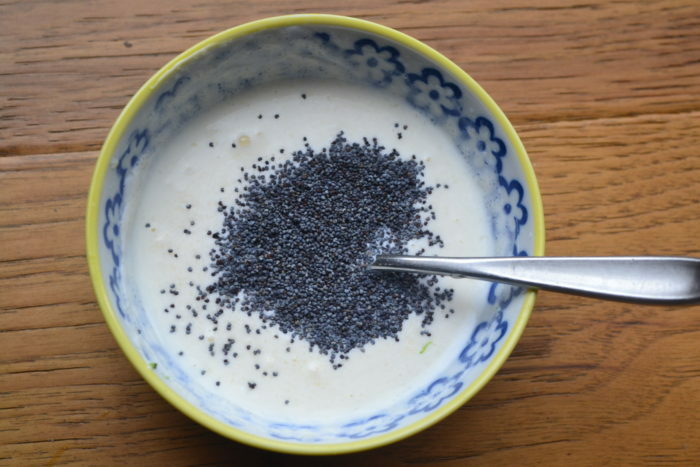 Add all the ingredients to the Lemon Poppyseed dressing together in a bowl and whisk together. Set aside. 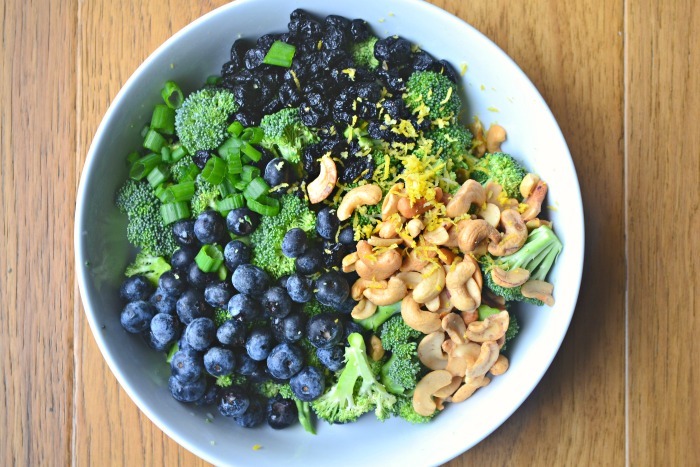 Add Broccoli, blueberries, dried blueberries, cashews, green onions and lemon zest in a bowl. 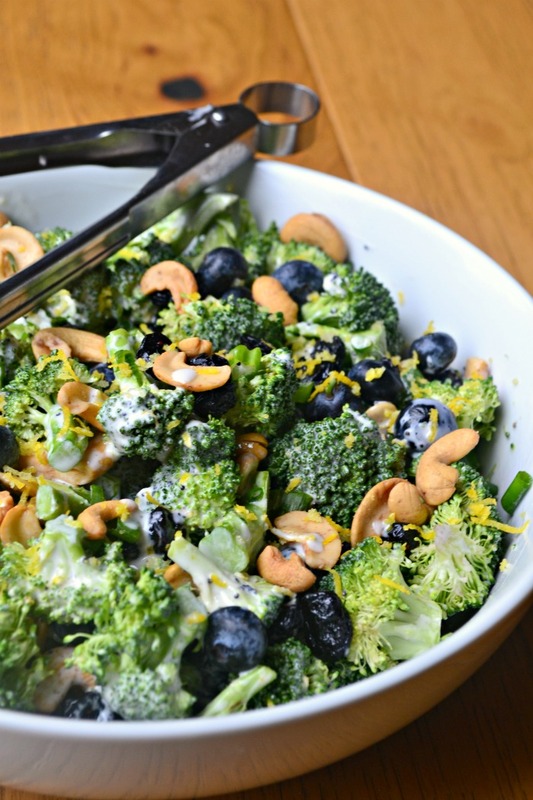 Drizzle the lemon poppyseed dressing onto the broccoli salad and mix. My husband really loved the winter broccoli salad that I made right before Christmas, but I think he enjoyed this one more! 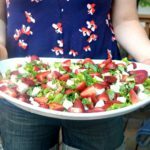 I can’t wait to make this for summer cookouts!